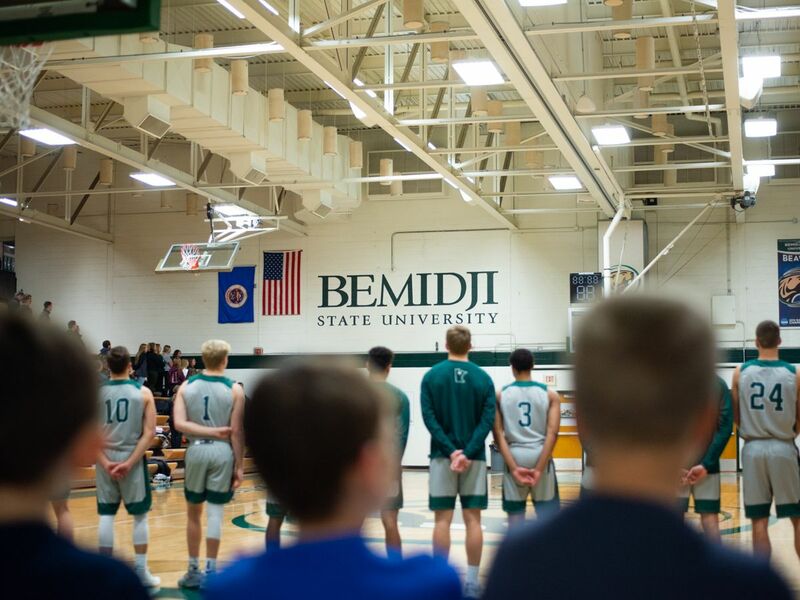 The Bemidji State University men’s basketball program will play University of Minnesota Crookston at 4 p.m. from BSU Gymnasium for the 66th time in the series. The Beavers and Golden Eagles have been evenly matched over the past eight games as each team has won four games since 2014. Bemidji State leads the all-time series against Minnesota Crookston, 48-17. Each team has won three of the past six meetings dating back to the 2015-16 season. The Golden Eagles swept the 2017-18 series with wins of 83-57 in Crookston, Minn., and 65-50 in Bemidji, Minn. Junior forward Logan Bader led all current Beavers with 7.5 points per game against UMC last season on 35.0 percent shooting. He also led the team with 6.0 rebounds per contest, all 12 coming on the defensive end. The series began Jan. 13, 1922, a 21-15 win by Minnesota Crookston in Bemidji. BSU split two of its most recent games Nov. 20-21 at the Jay McCormick Classic in West Palm Beach, Fla., opening the tournament with a 74-69 win over Palm Beach Atlantic University and closing with a 73-72 buzzer-beater loss to University of Puerto Rico-Bayamon. Five Beavers scored in double-digits to lead to the win, including a career-high 21 points from junior forward Logan Bader. Junior guard Jacob McNallan recorded his first career double-double in the game with 10 points and 11 rebounds. Sophomore forward Derek Thompson continued his hot start to the season despite BSU’s loss to UPR-Bayamon while notching his second double-double of the season with 22 points and 11 rebounds. Over the tournament, BSU shot 51.5 percent from the field, 38.9 percent from 3-point range and 81.3 percent from the free throw line. The Beavers pulled down 41.5 rebounds per game while allowing 27.5. Thompson led the way in scoring over the two-game span with 16.5 points per game on 60.9 percent shooting. Bader followed Thompson with 15.0 points per game on 52.2 percent shooting from the field and 71.4 percent from beyond the arc. McNallan was the only other Beavers to average double-figure scoring with 11.5 points on 55.6 percent shooting. He led the team with 8.0 rebounds per contest and went 11-of-12 from the free throw line. On the season, Thompson leads the squad with 17.8 points per game with two games of at least 22 points. He also paces the team on the boards with 8.5 rebounds per game. Four Beavers rank among the top six in the NSIC in field goal percentage. Sophomore forward Zach Baumgartner leads the league shooting 69.6 percent from the field, followed by Thompson in second shooting 69.0 percent, Bader in fourth shooting 66.7 percent and Hoffman in sixth shooting 64.0 percent. Head Coach Mike Boschee is in his seventh season with the program after totaling a 79-92 record with the Beavers and a 194-207 career record in 15 seasons as a head coach. Assistant coaches Mike Iseman and Tim Wagner begin their first seasons in their respective positions in 2018-19 with the Beavers.